Click the image above to order. It's no longer cephalopod week, but Matthew's octopus pendants in sterling silver are still available. Bottom right: raw silver. Bottom left: silver with a liver of sulfer antique patina applied. Top - antique patina polished off to reveal details. Available on Matthew's website or click the image above. 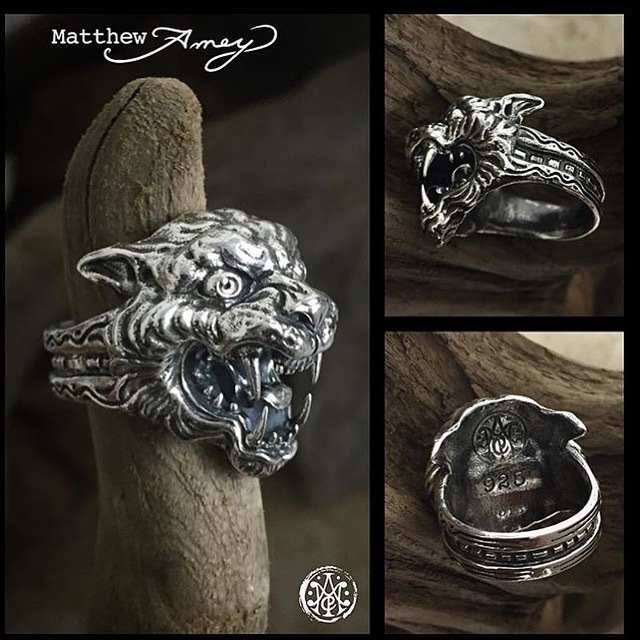 Matthew Amey's "First State" series in sterling silver is now available exclusively at Albert Frank's Fine Jewelry in Lewes, Delaware. These pendants are modeled after the fire control towers that are prevalent along coastal Delaware. If you love coastal Delaware then you'll love Matthew's "I Heart DE" pendants! Matthew Amey is working on a series of orchid pendants in sterling silver. This vanda inspired orchid has a 3mm amethyst. Available at Independent tattoo. Call 302-436-5581. Free domestic shippping. $250.